When a service signs up to Storypark via your network signup page their Storypark 'About' page will be pre-populated with the information you add here. This area will be visible to all families and teachers invited to each service and can be used to provide important information about your network, or edited by the service Admins to include information about the service itself. Learn more about service About pages. To access this area go to your 'Network setup' and select 'About page'. 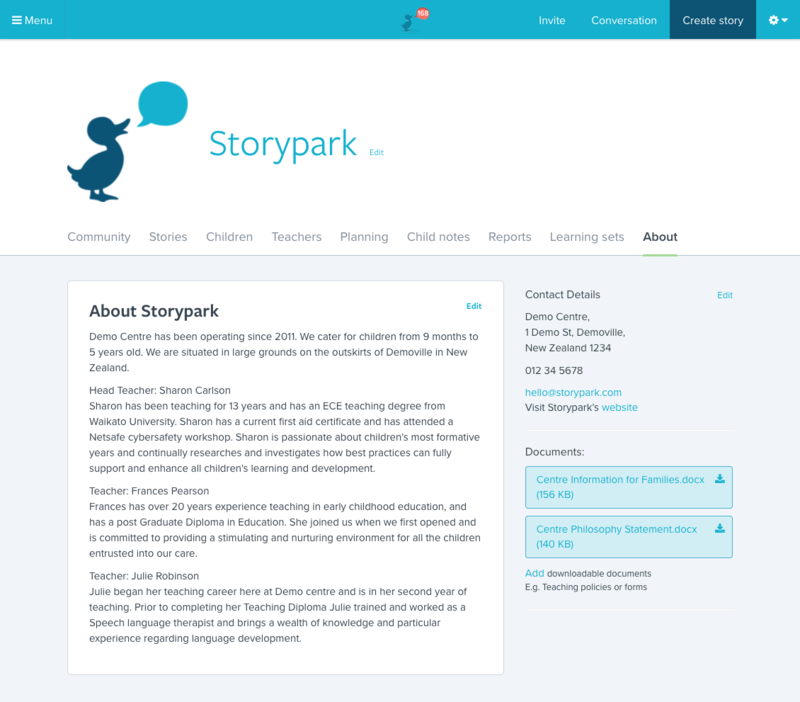 Once an early learning service gets up and running, Admins of each service are free to edit and update this area to include information about the service itself.